D.N.Frost and TotKW Books: What is Storycraft? Why do so many good editors never become authors? Because a novel is not just a well-worded manuscript. All writing is the composite of two separate skillsets: the language skills that a wordsmith displays, and storycraft, the art of storytelling. While the wordsmith hammers out an engaging manuscript, storycraft provides readers with worthwhile content. Neither will spin you a gripping novel alone, but in tandem they unlock your writing prowess. Storycraft is the art of stitching a good story together. Beyond the events of your plotline, storycraft explores how you sequence your events, where you place foreshadowing, and how that foreshadowing comes to fruition. Creating a vibrant, immersive setting is part of storycraft, as is building relatable characters with realistic personalities. Good stories are crafted with precision and details threaded together to create intrigue, suspense, and satisfaction. Storycraft also shapes your writing style. Many facets of style include both storycraft and wordsmith elements. Understanding how flow impacts a narrative is storycraft, while the wordsmith manipulates words to control flow. Manifesting your voice throughout a manuscript is the wordsmith's work, but establishing your voice as a writer is storycraft. Your storycraft makes the difference between a well-planned tale worth remembering, and a boring ramble with no impact. What keeps readers up too late, or inspires people to share your work with friends? Storycraft separates the sleepy bedtime yarns from the enduring folktales and heroic epics studied in school. While all stories require inspiration, storycraft is what determines your ultimate impact on the reader. In my Tales of the Known World saga, you can see how I leverage various storycraft principles to create the desired impact. 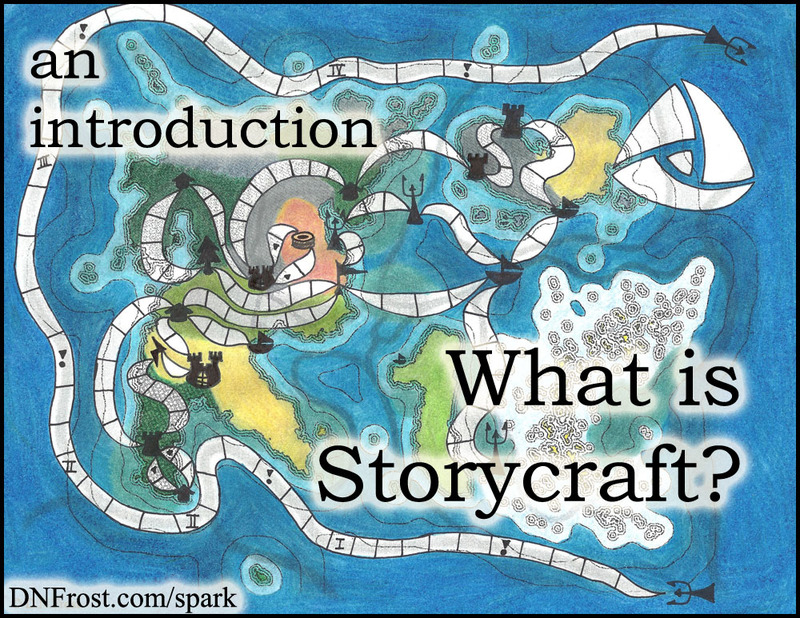 On this website, I use the storycraft tag to denote posts about storytelling, an aspect of writing. Similarly, the wordsmith tag marks posts regarding the use of words as an artistic medium. In these Tips for Writing Fiction, you'll find workshops to hone your own craft. Most writers have either the knack for storycraft or as a wordsmith, but regardless of natural talent, one skill tends to outweigh the other. Fortunately, you can develop your writing skills individually, once you understand the nature of each component.